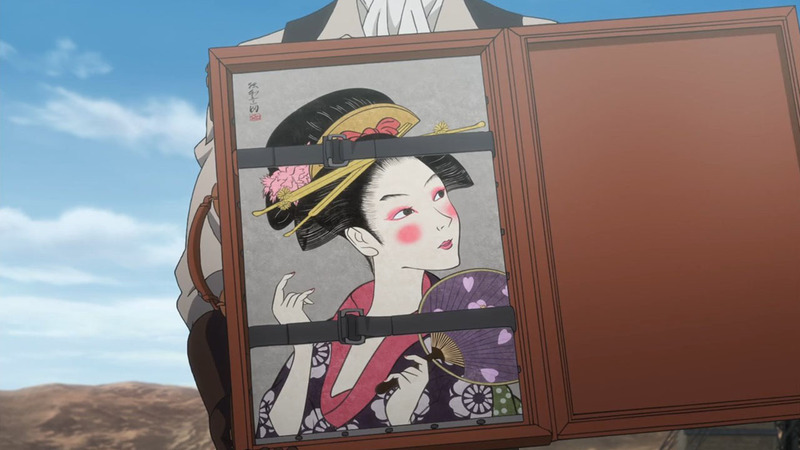 Here’s another thing 2D still does better than 3D: changing costumes. For your basic 3D models the clothes are simply part of the model, so in order to get your character to change clothes you almost have to create an entire new model. So if you want your girls to prance around in their lingerie, go back to 2D! Fanservice: 1, innovation: 0. Still, if we need to go back to 2D every time the captain guy takes off his hat I wonder if 3D is truly worth it. But no matter. 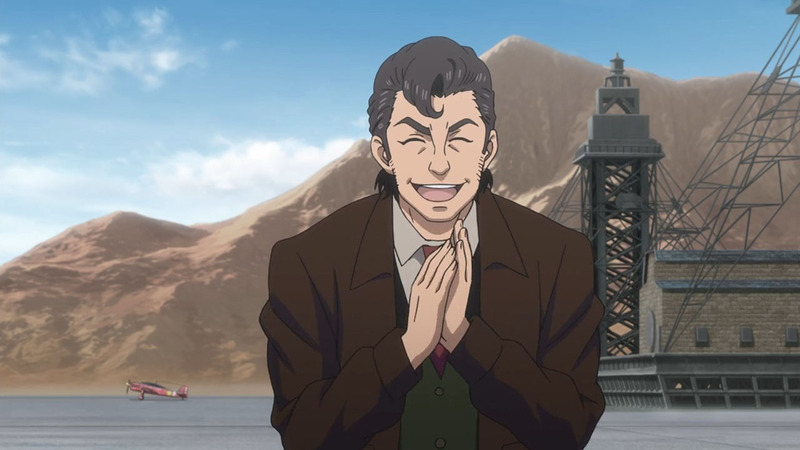 For the rest of the episode the Kotobuki stayed 3D, though, which means business. 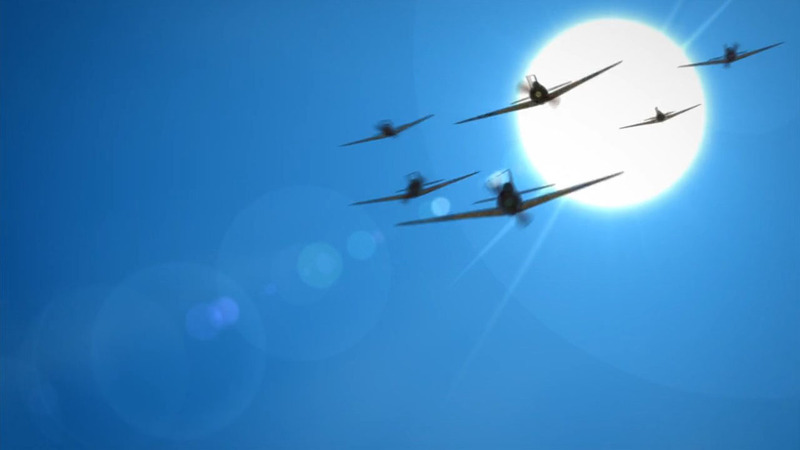 Once again we take to the skies and once again we have an episode full of dogfights we all came here for. 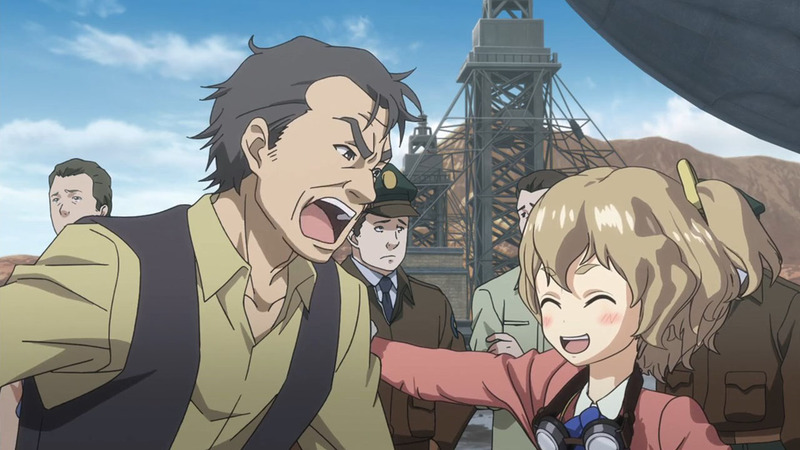 I’m pleased to see that Kotobuki has managed to sustain this level of action, and if we needed to go 3D for it then regardless of costume shenanigans it was a worthy sacrifice. 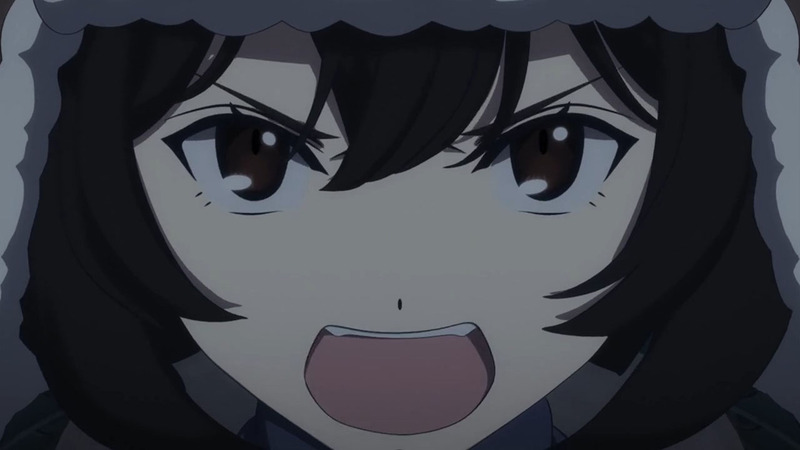 If we were to compared to three ‘cute-girls-doing-WWII-hardware-things’ anime — Girls und Panzer, Hai-Furi, and Kotobuki — Kotobuki distinguishes itself as having the least fluff. It still has fluff, of course (pancakes, anyone?) and I’m not saying that fluff is inherently bad. 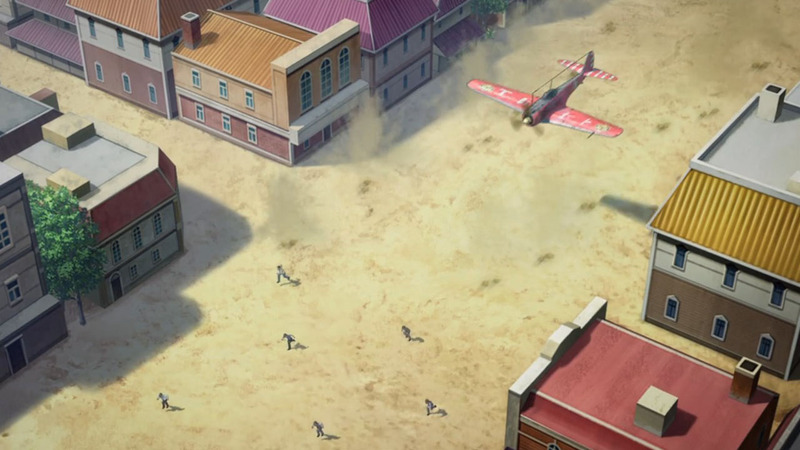 Rather, I want to highlight how much they’re packing into each episode of an anime about old aeroplanes shooting at each other. 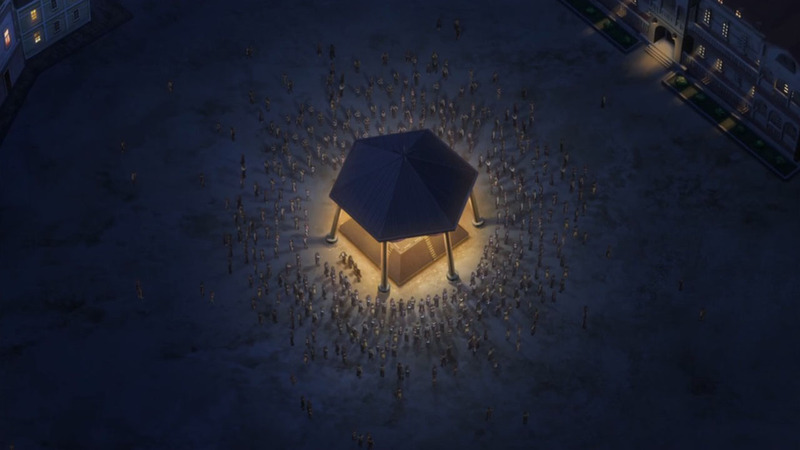 The action I expect, but in this episode we also got a bunch of world building about the communities living on this frontier (and what would the Wild West be without snake-oil salesmen? 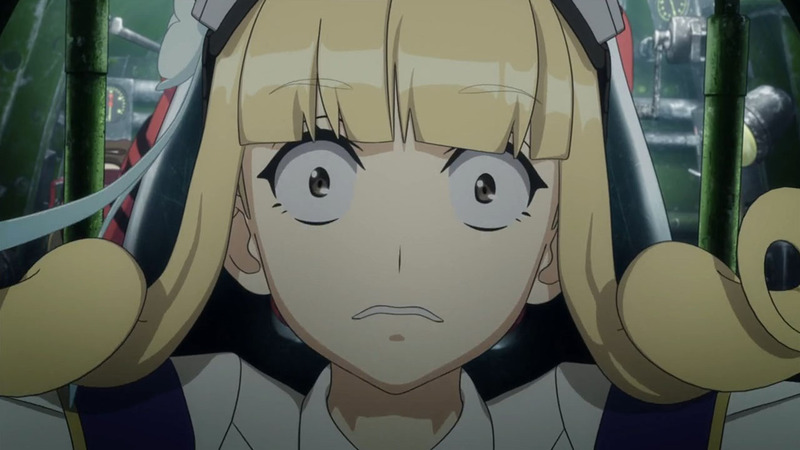 ), some rumination into the nature of leadership and incidental character development for leader girl by contrasting her with the vacillating mayor, some character development for blonde girl (names are hard) by implying a painful past with pirates, and everything else that came with the general plot of the episode. 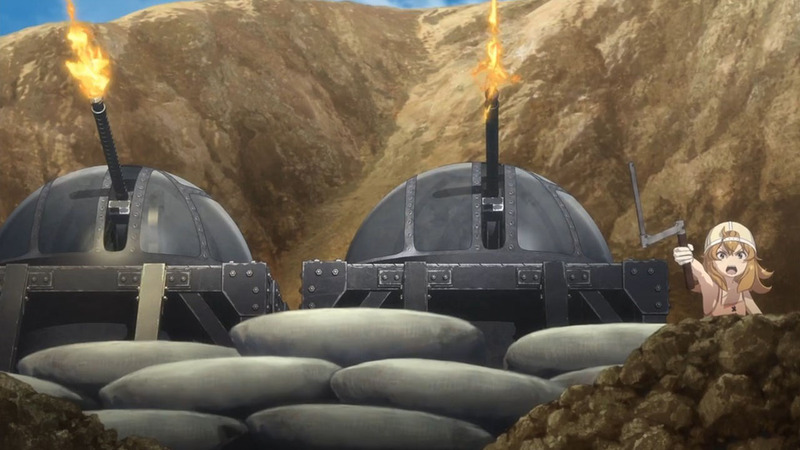 That’s a lot done in an episode where a large portion was just indulgent gun noises. 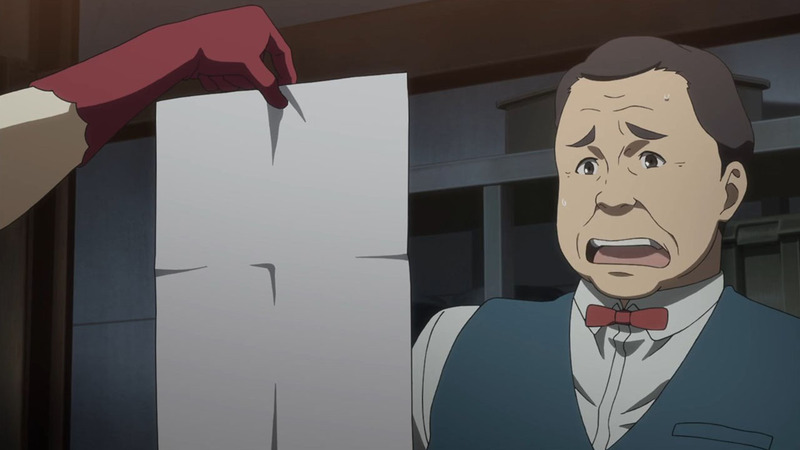 It goes to show what a good screenwriter can do for you; a tight script lets an anime get more done with less. 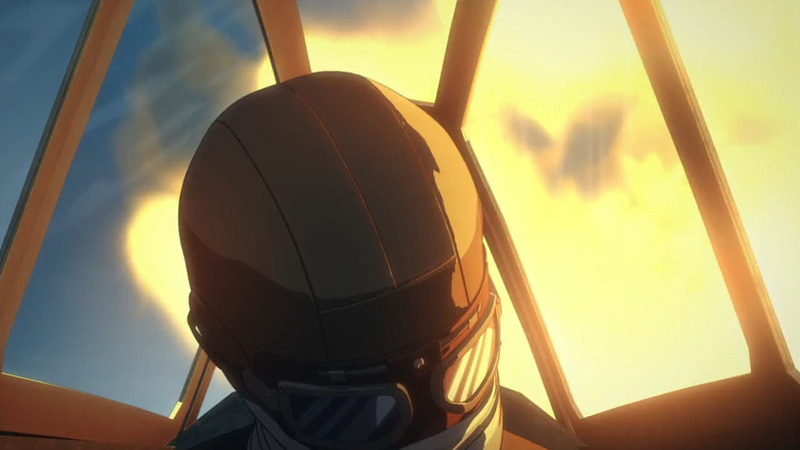 As an aside, for those of you who have been wondering what happens to pilots who get shot down, you may be pleased to know that they don’t all die after all. 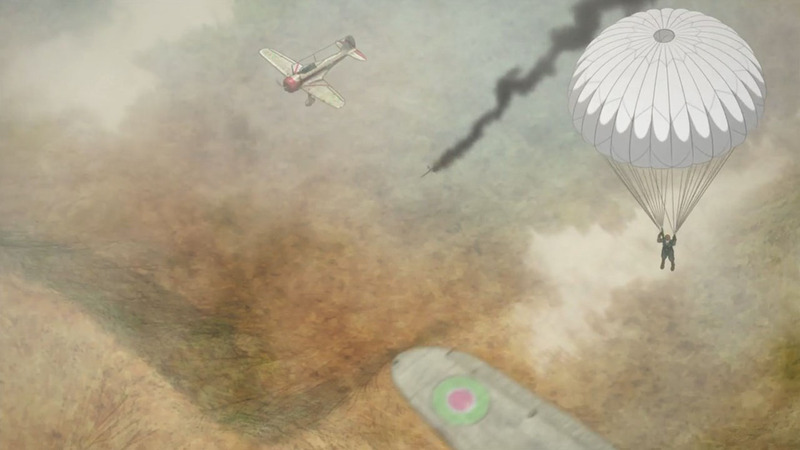 This is the first time we’ve seen the deployment of a parachute so we know they’ve got those, and we also saw a Hayabusa manage a crash landing so there’s no reason to think that there aren’t other survivors. 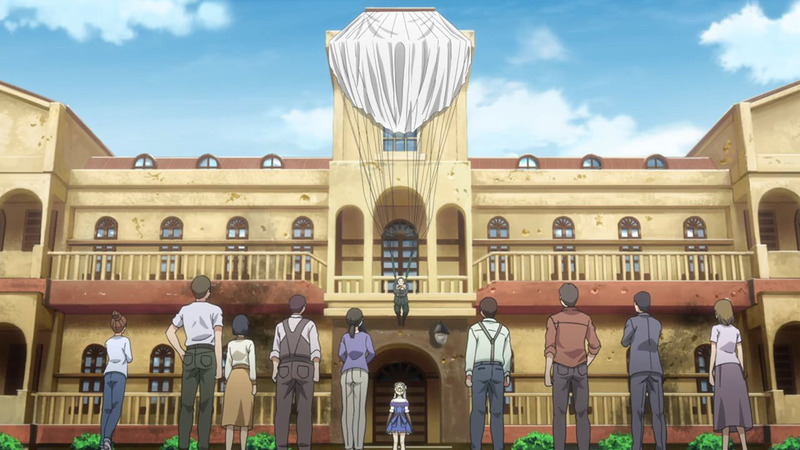 Back to the plot: this will be the first multi-episode arc of Kotobuki and while it’s unlikely that I’ll be able to keep blogging this show (we’ll have to see) I’m still curious as to what comes next and will definitely be watching. 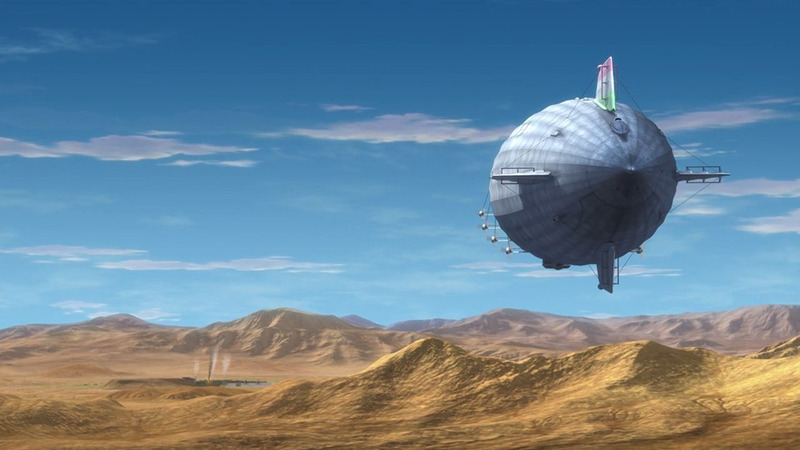 Of course, this pirate corporation (as if pirates aren’t reviled enough) are unlikely to be major antagonists — they’re 2D, which means they’re minor — but perhaps the raid to take back the Raiden will lead to something larger. 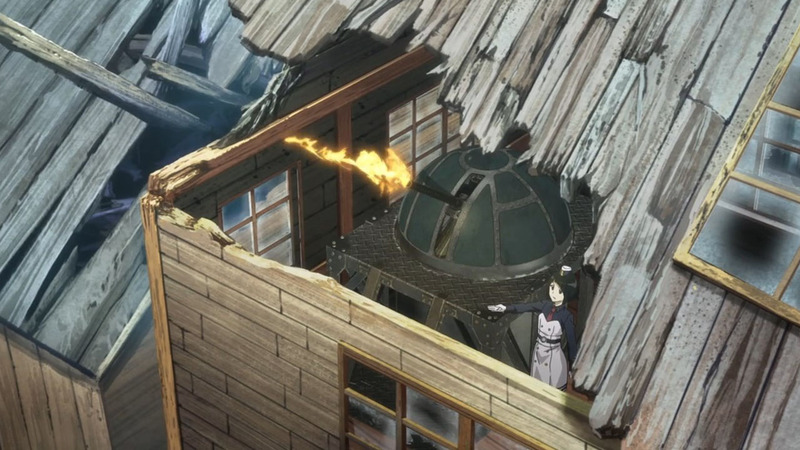 We’ve already had hints that there’s a larger underlying narrative to Kotobuki and even if we don’t leap into that just yet there’s also an entire fantasy world to build. There’s ambition in this show, and I’m eagre to see where that ambition takes us. Was he in disbelief that the guy managed to jumped off the plane? or did he forget he has control of the aircraft? I know, but think is “its for the Story!”.. 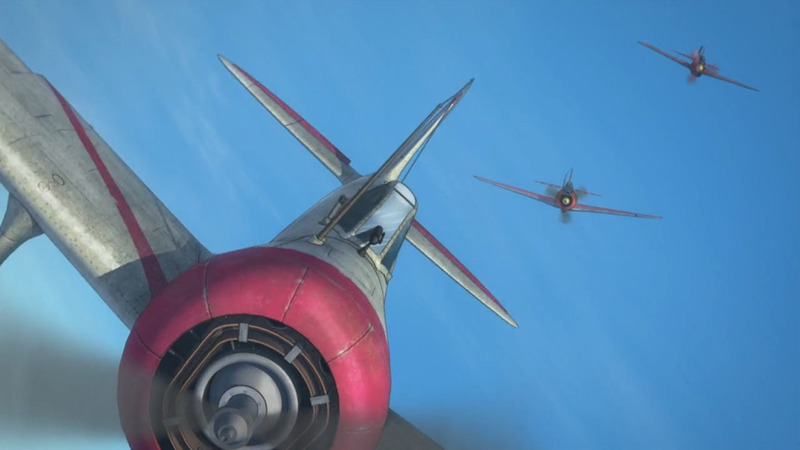 I was yelling internally: do a barrel roll! and are she okay with that? An Racer is used to be on the Steering Wheel right? And now suddenly someone other drive the Plane.. 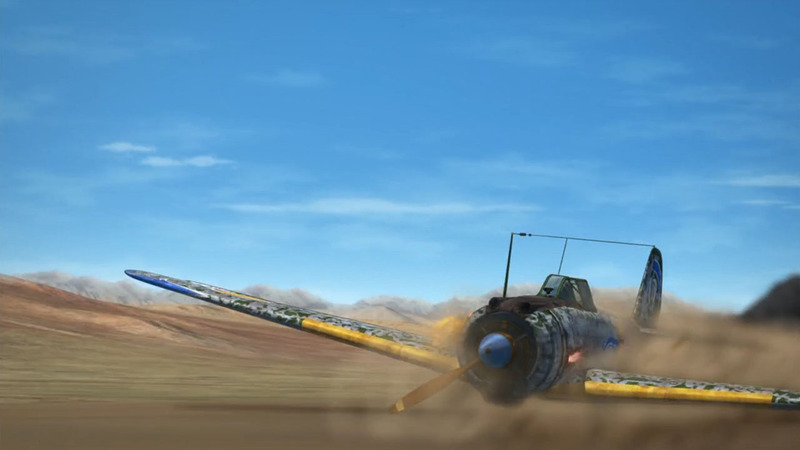 The only show that makes you feel the G force. If that was true the girls’ hair would be all over the place, all the time. 1. 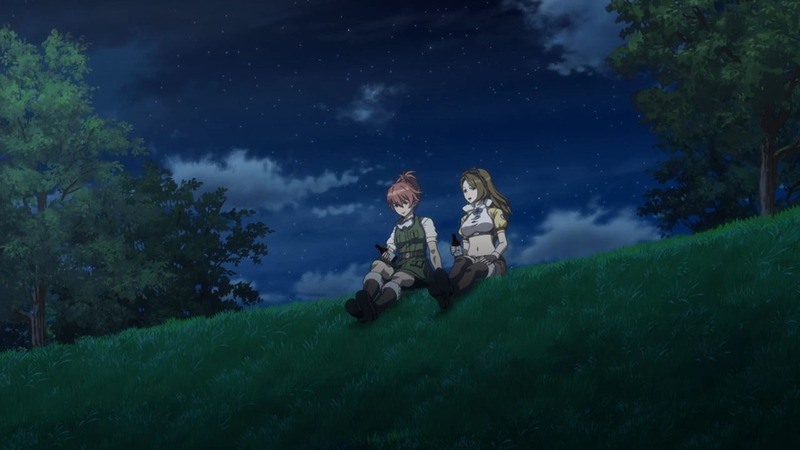 Fanservice, and 2. Hand-drawn. That is perfection. 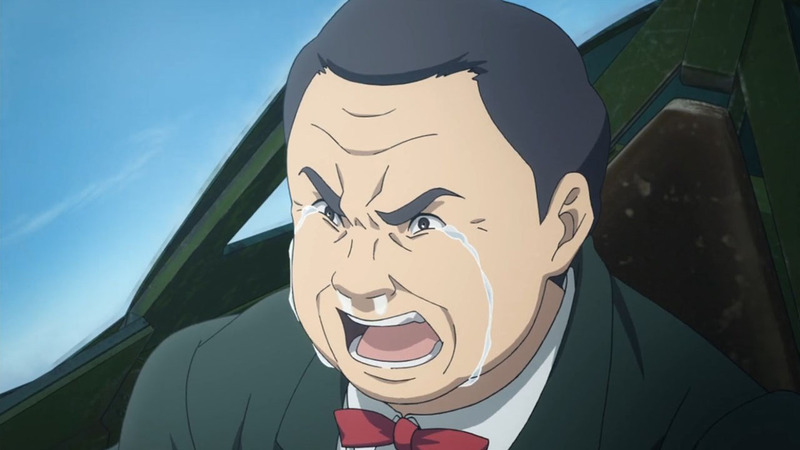 Though it pains me that you didn’t take more screengrabs of that scene. 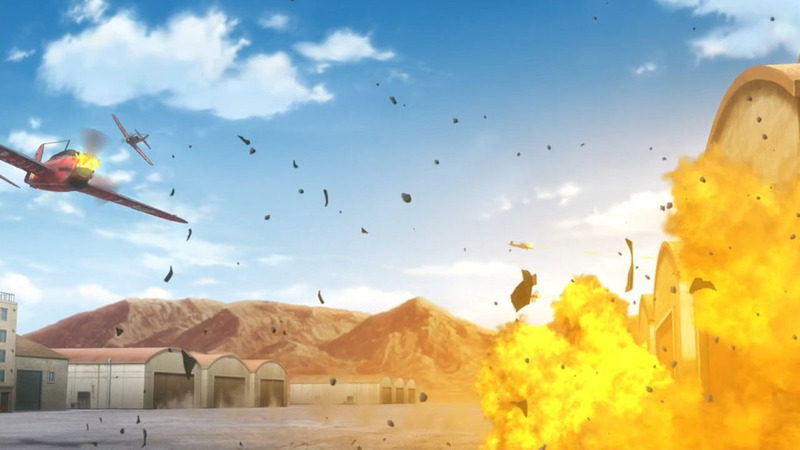 The thing that irks me is how all the planes get shot down in a single burst of fire. 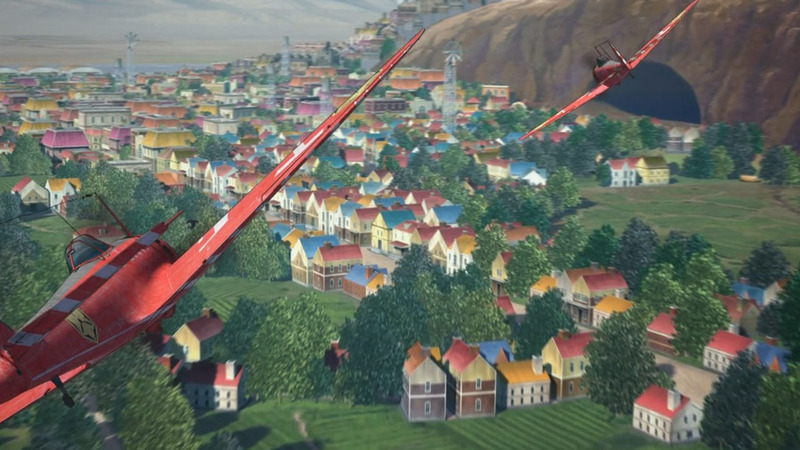 But i imagine that the studio didnt design damaged plane models for use. So many of these caps are wonderful compositions. I especially like slides 9, 18, 22, 26, and probably my favourite, 34. But… how could there be no highlight of Kate’s outside loop? 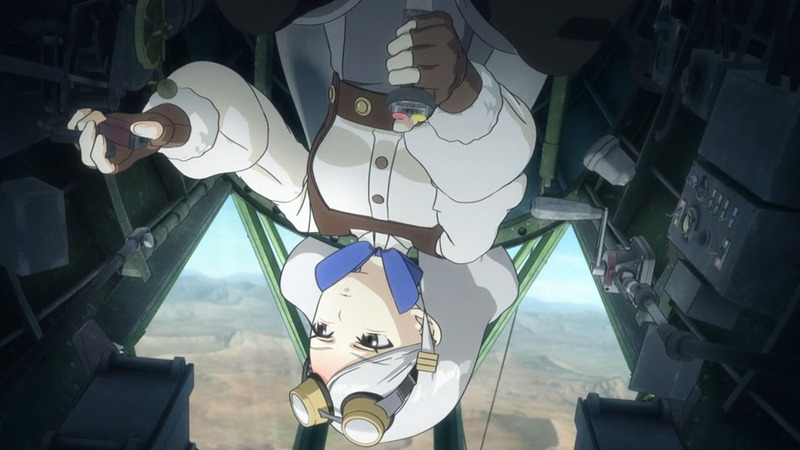 While I think it probably should have scrambled her brains a bit (or broken her plane), it was neat to see (around 16:30 in). I’ve been wondering how far they would go with their aeronautics. She seems completely nonplussed by what she’s up to (slide 25), which might be taking her stolid nature too far. Amusingly, her bow-tie reacts to the conditions but not her hair (although it did in the frames immediately prior). 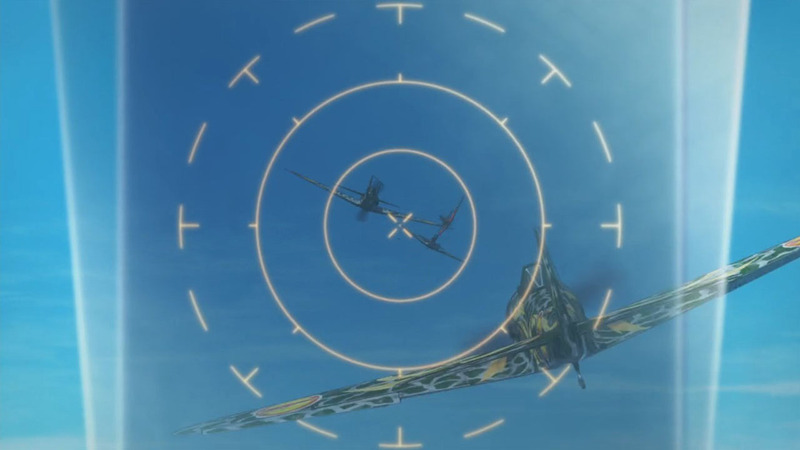 Regarding slide 26, I remember my dad telling me war stories, one of which was how not to react to a low-flying, strafing fighter. This would have been exhibit A. Considering the town’s situation, it seemed a little odd to me that everybody on the ground would get it wrong, but no harm done. 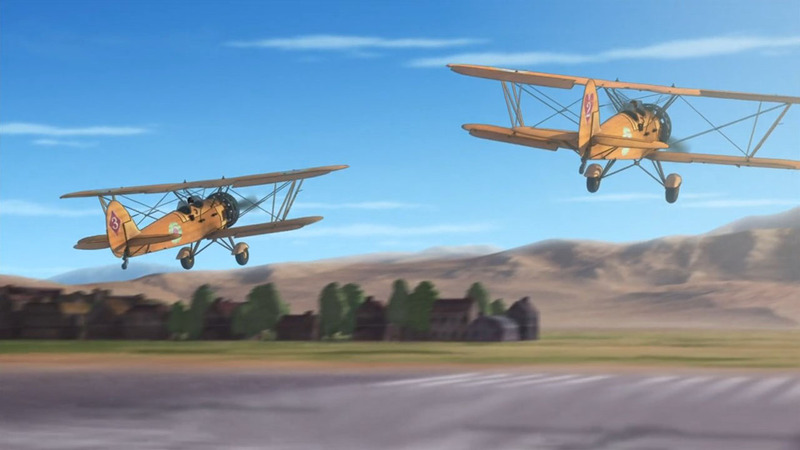 As an aside, I often find CG animation to be sterile but that’s not a problem with this show, and I think that the care that goes into composing the scenes is what makes the difference for me (along with the generally wonderful plane detail). Unfortunately, often shots that look good in motion don’t actually communicate that much as a single frame. 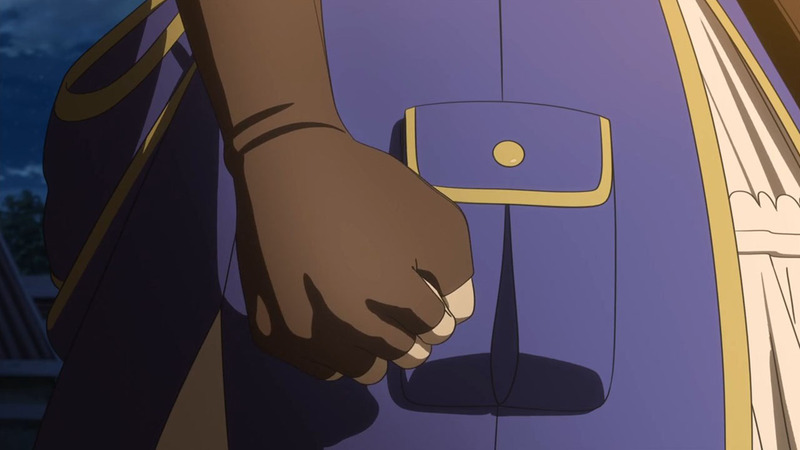 I did try to get a shot of that scene but nothing looked good and I had to cut it. I was wondering if that might be the case. 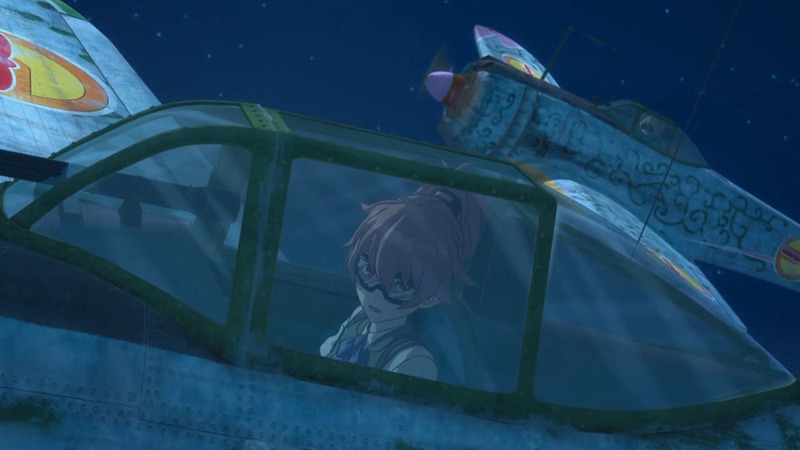 I didn’t go through it closely to look for any good frames, but I did replay it a couple of times to see if I was seeing what I thought I saw, and then to see if there were any effects on her plane (since there obviously weren’t any on her). There were some odd sound effects which I can’t account for though. But it’s all good, and you did pick many good moments. 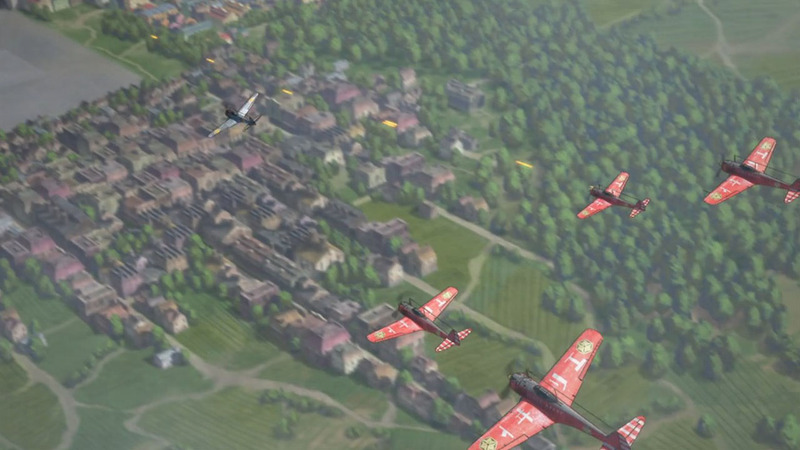 Majority of the planes used by “Elite Industries” seems to be the later models(?) 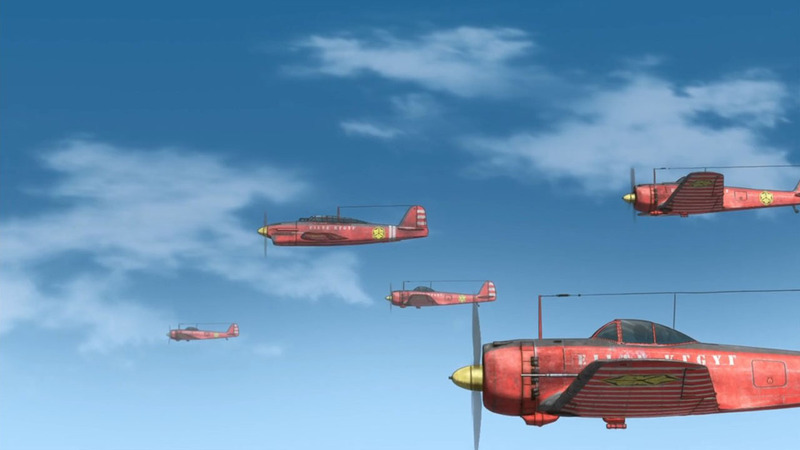 of the Kotobuki Squadron’s Nakajima Ki-43s. Though I’m unable to ID the plane model (two-seater fighter[?] with rear-mounted MG) used by the enemy boss. The Elite Industry Boss’ aircraft is a Yokosuka D4Y1 or D4Y2. 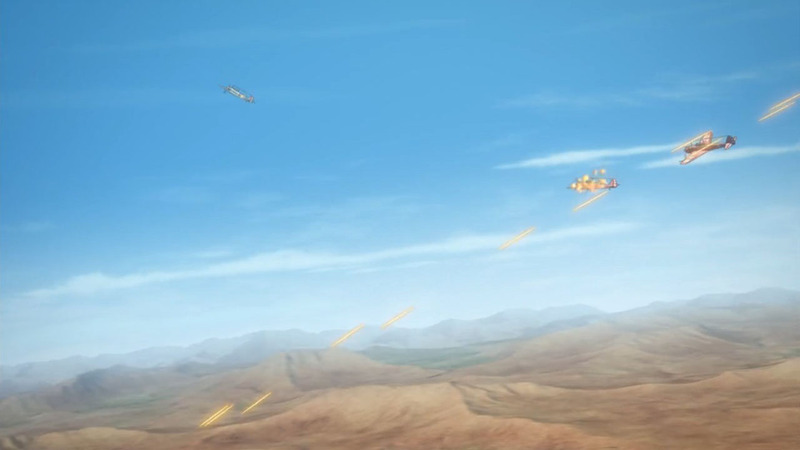 Also the closest thing to a ww2 ace combat game is Project Aces’ The Sky Crawlers: Innocent Aces on the Nintendo Wii. Its not a bad game, and the motion controls are pretty alright. Wait, it’s a dive bomber? I suppose a powerful engine is required to climb to high altitude in order to do dive bombing, but is it maneuverable? 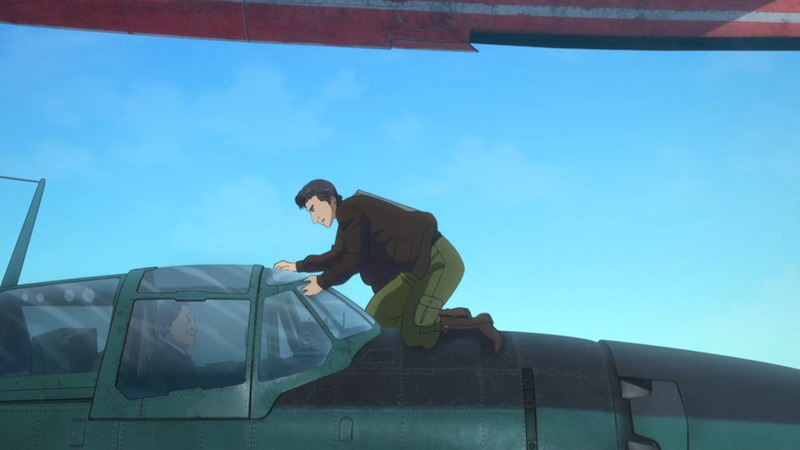 On a different note, are self-sealing fuel tanks a thing on the Kotobuki Squadron aircraft? 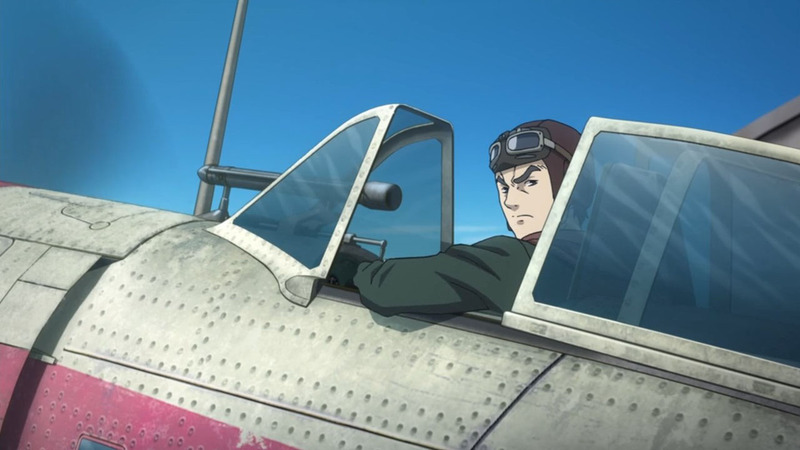 I don’t know about later Imperial Japanese aircraft, but one thing they had in common was a lack of self-sealing fuel tanks. 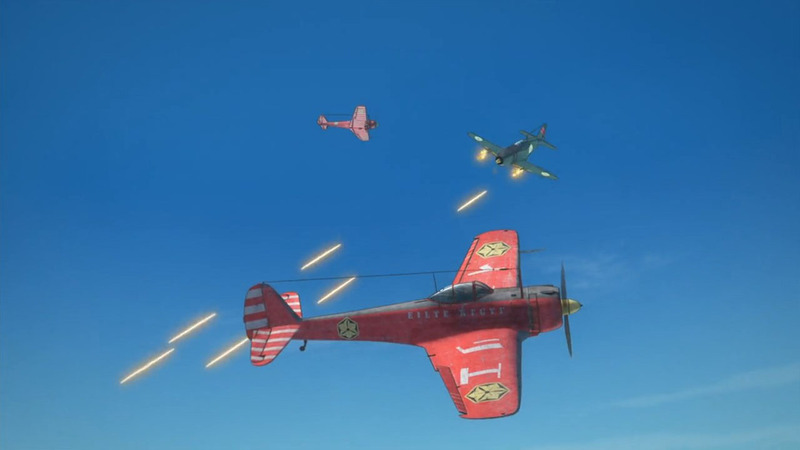 Sure, it made their aircraft lighter and more maneuverable, but one good hit and it goes up in flames, as the Americans would later find out with the Akutan Zero. Pretty fun stuff so far. 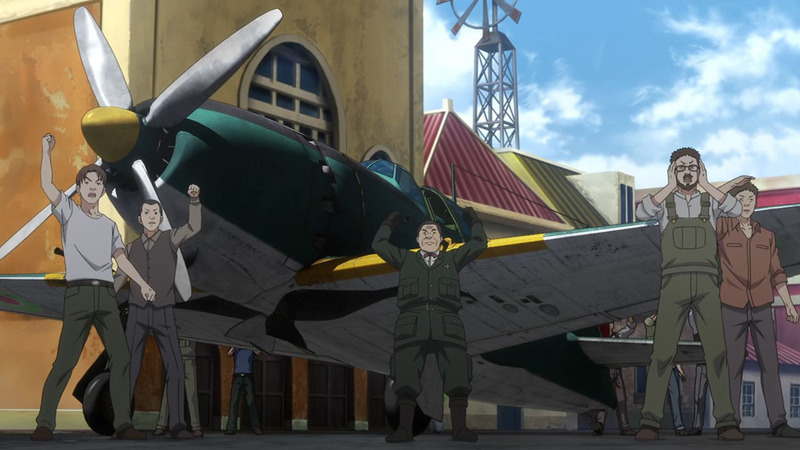 I do hope that at least one episode will feature the Nakajima Kikka. 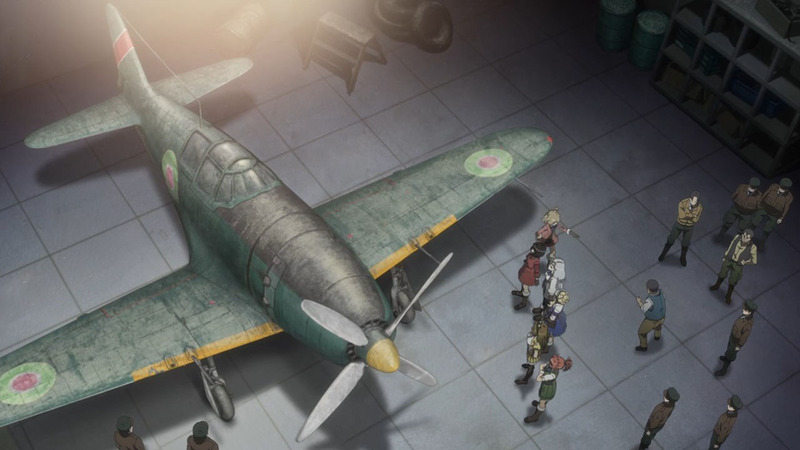 It’d be cool to see the girls with their old Oscars taking on what should have been the Japanese’s first operational jet fighter. 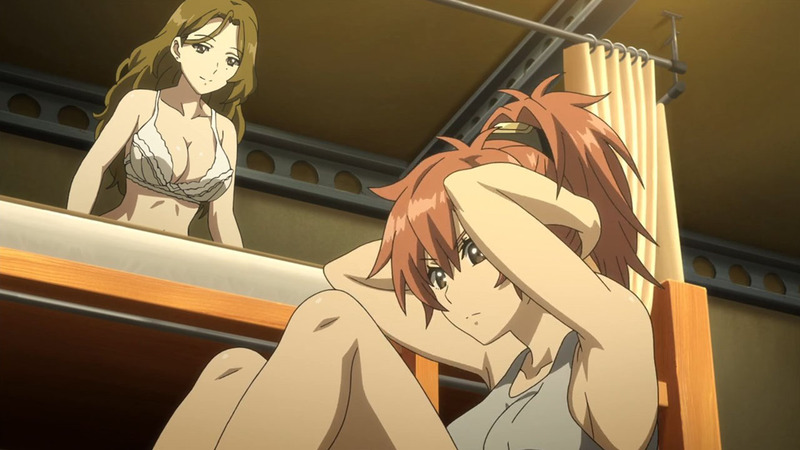 Leader girl Leona reminds me of Kancolle’s Shiranui — deep-voiced and dead-serious. - Do you know “Moon 44″ (Sci-fi), thy forced to fly inside the canyons there.. ep 04 is the same..
Also.. seems like we have the real “proof” of Death.. while take off under fire some catch fire and crash on the ground.. to low altitude to use Parachute. Well at last the crash happen to be “offscreen”.